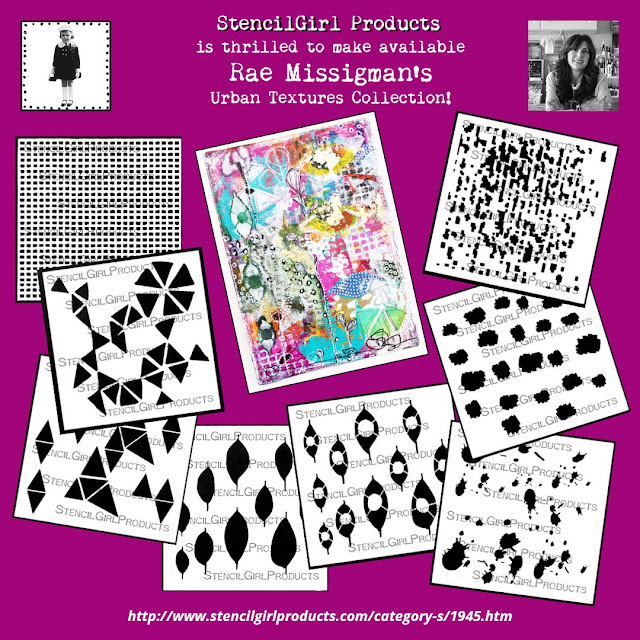 Rae Missigman has 8 new stencils that are idea for building up layers in your art journal, mixed media artwork, encaustic paintings, and more! Scroll on down for links to her video and blog. 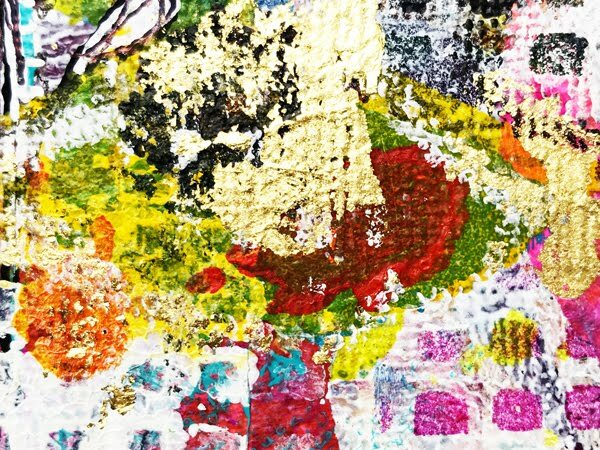 Can you spy where each stencil was used in this canvas? These leaves were inspired by the vines often seen in old cemeteries dating back to yesteryear. 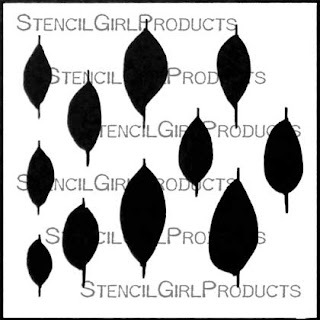 Add color and details to your leaves with this stencil. Works beautifully in tandem with Open Leaves stencil. 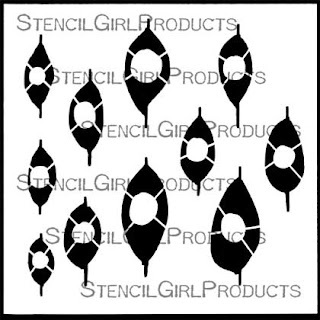 Botanical leaf shapes ready to be filled with your marks, doodles or zentangles. 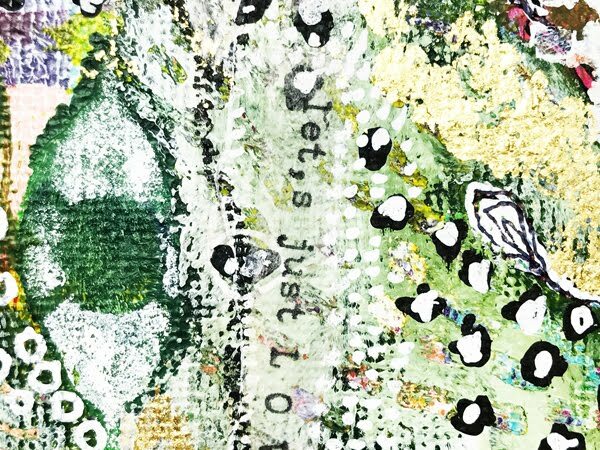 With the stems on top and bottom, the leaves can be connected in a chain of repeating pattern to dance across your art. 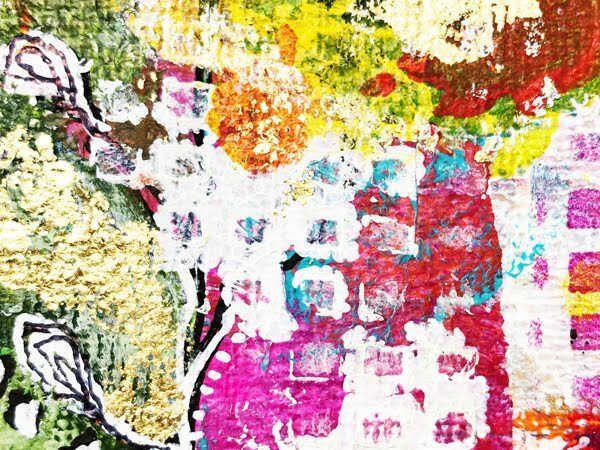 Paint Splotches - Inspired by peeling, chippy paint found on urban architecture, this stencil will add texture and age to any piece. Overlap them for cloudlike forms of color. 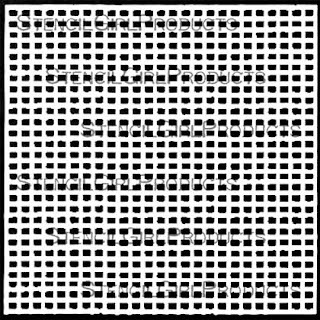 Gridded - Inspired by high-rise urban buildings found in large cities, this stencil looks like a grid at first glance. 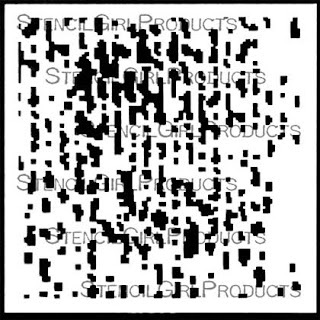 Upon closer look you see the variations, the lack of uniformity that brings out the eye fooling design. 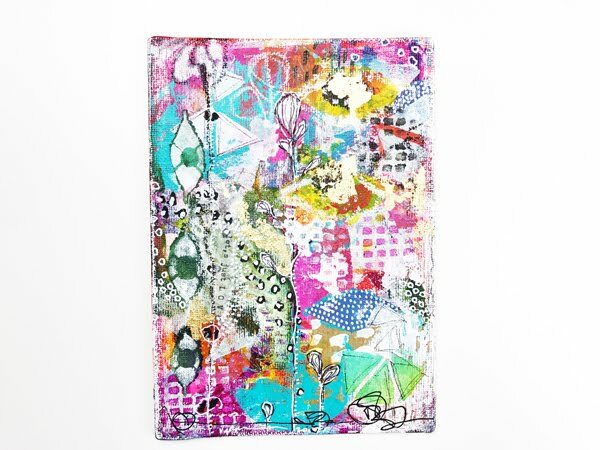 Perfect for mark making or an all over design. 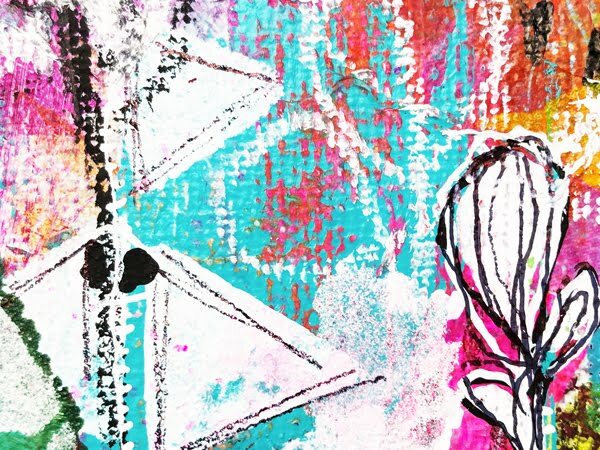 Paint Splatters- Splashes of color are mixed with mark making circles, dashes and hearts making this stencil the ultimate in versatility. 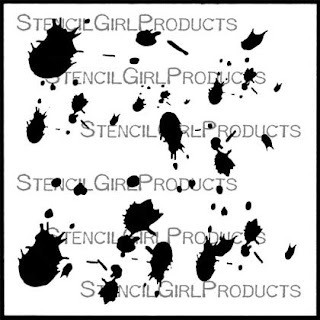 From the tiniest dot to the largest classic splatter, you will be reaching for this stencil over and over. 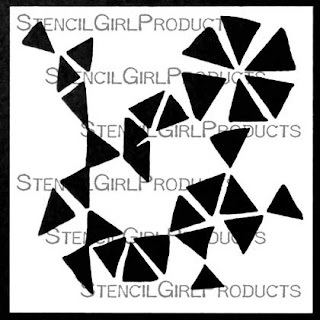 Pixels - Graphically interesting, this tech driven stencil will add an all-over print to your art piece. 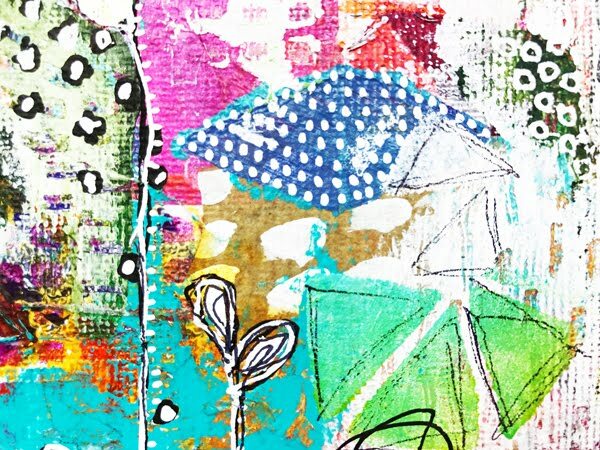 Perfect for tone on tone prints to add depth and dimension. 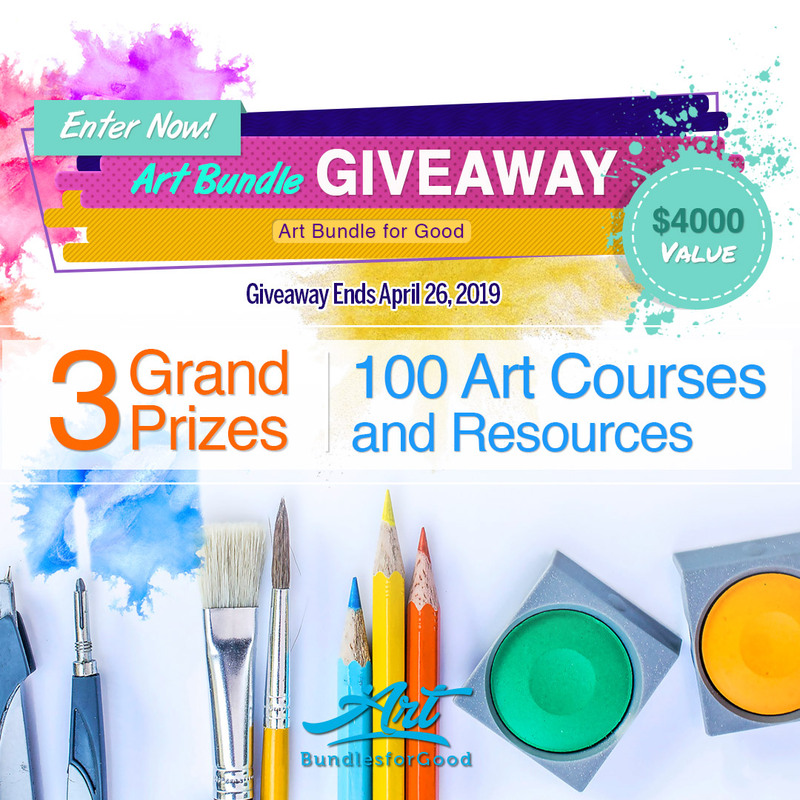 Great for mono printing. 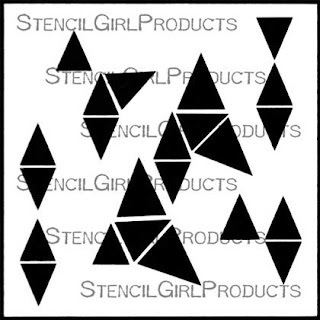 These precise edged triangle shapes in multiple configurations are perfect for building a mosaic of color on your background. This stencil looks great from any direction. These softly constructed shapes are reminiscent of pinwheels or flower petals. This would be a perfect raised stucco like surface texture when used with modeling paste. 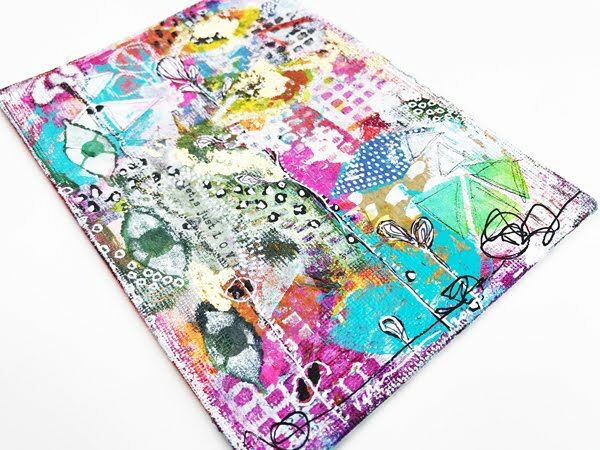 She's written all about her new collection on her blog and there is a video showing how she layered the canvas pictured below! Click HERE. 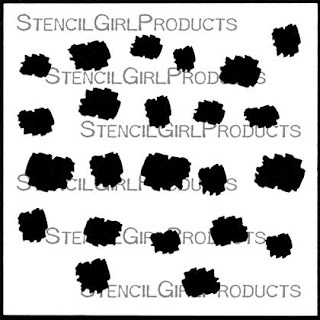 Thank you for having me again and helping me to create stencils that leave my mark!